Visitors are coming to your church. What about those who will come in connection with upcoming Easter, Mother’s Day or the upcoming graduation season? They come, but walk out the proverbial back door, never to come again. Finding a place to make a difference. My biggest fear is that our church would have a visitor come for three weeks and not one of our members would say hello. As the chairperson of our hospitality committee, I looked for resources to help us and Chris’s stuff gave us practical steps we could do to help prevent that from happening. You want real life steps for church hospitality that you can implement this very weekend. Print it out, highlight it, mark it up, and give it to your church hospitality teams. That’s how thousands of others are using this book. Others are giving it to their visitation teams, parking lot teams, greeter teams. Use it for your church hospitality training like others are doing. Haven’t I heard all this before? Spends 7 of 8 chapters on marketing and designing programs to help you get visitors. Focuses on assimilation processes after the visitor goes home. Uses stale outdated ideas like plastic “lapel church pins” to stick on your visitors like pin the tail on the donkey. Tell you to stick “Visitor” Name tags on your guests. I know these books on church hospitality are out there. You don’t want outdated stale marketing gimmicks. You don’t want complicated post-visit assimilation processes. You don’t want to scare your visitor away with cheesy posters from the 1980s. You want your visitor to come back a second time! Imagine a church without hospitality. 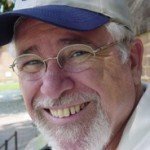 Would a first time church visitor come back? 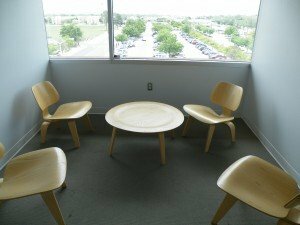 What if your church had a reputation for being the most unfriendly church in town? First Time Church Visitor Follow-up — how to help them stick and stay with your church fellowship. From the Church Parking lot to the Church Pew. You get over 60 church hospitality tips and welcome church visitors ideas in an instantly downloadable Ebook. You can begin to improve the process of welcoming visitors to your church this Sunday. The section on greeting was the most relevant to me! You’ve given me some tips I can put to use instantly! You’ve not seen this pin-point focus or attention to small details in a single book. You can find snippets in magazines, blog sites, and newsletters and digging through Google. In this book, you get the best information distilled and compiled for you. You don’t have to keep searching. You can put it to work this weekend. 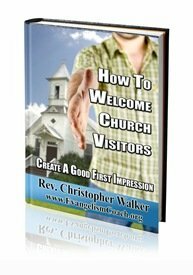 Churches have hired consultants for thousands of dollars to share this same information that I’m offering you this information on welcoming first time church visitors immediately in a downloadable Ebook. One consultant has even set his price for this information at $10,000 for large churches, so save yourself thousands of dollars in consulting fees. Moreover, church consultants schedule months in advance, sometimes three months to a year. You don’t have to wait that long for this practical information. You can download it right now*. Even if this is Saturday night at 11pm and service is in 9 hours, there are tips you can use now. I’ve been to several more expensive workshops over 15 years and have distilled the best information and practices that you can immediately begin to apply to your church visitor greeting process. I share my stories from personal experience and years of thinking and teaching internationally about this subject. I’ve seen other church visitor or greeter ebooks for sale at $39 and at $49, you get better information for much less. For those who purchase the next 10, 7, 4 copies of this book before, I will offer you an hour of church hospitality coaching time over the telephone to help you apply some of these tips to your situation. A lot of people search my main site on church visitor letters for follow-up. As a bonus free download, I want to give you access to 25 form letters for church ministry via a download ebook. The church letters ebook (PC Only) comes with over 200 letters, 25 of which are unlocked as samples. The separate Ebook Purchase and OR Membership site upgrade for church letters will give you access to all 200 plus new ones as they are added weekly. Sample church letters include: Condolences, First Time Church Visitor Followup, Pastor Appreciation, Special Occasions. If you don’t like How to Welcome Church Visitors, simply contact me for a full refund within 90 days of purchase. No hassles. You can even keep the Ebook. I’m so confident that you’ll like and use this book that beginning January 1, 2013, I’ve updated this to one year risk free return! Nearly 2100 copies sold and less than .50% refunded by request since I wrote this. I think that says a lot about the content. Even if you forget to download it during the 5 day windows after sale, I’ll send you a new one. I will never see your credit card data. Your transaction is secure and safe and is run through several anti-fraud checks automatically by the payment processor. If you don’t like it, ask me for a refund within the 365 day window and you’ll get your money back within 24 hours usually. Format: E-book. No physical book copy will be shipped. This is a book in PDF. If you need a PDF reader, details are in the confirmation email. Compatibility: Is this information compatible both for Mac and PCs? Yes it is. You can use any credit or debit card, worldwide. Paypal accepted as well. Not in the US? That’s ok. Any Credit/Debit card accepted worldwide. No Paypal account? None needed. Any other questions? Ask me the contact page. Availability: Typically instantly after payment, with extra link sent to email. NOTE: You will have a 5 day window to make your download. I’ll send you a few follow up emails to make sure you got everything ok.
Be assured there are no up sells on the next page. Step 1: Click the Order Now button. Step 2: You’ll go to the store’s page to add to cart. Step 3: Follow the prompts to checkout. Step 4: You’ll get an email with a download link if not automatically redirected to download page. If you have any questions, simply give me a call at 804-335-1445 (10 AM – 5 PM Eastern US), or reach me on Twitter or Facebook.